The first Olympic Games of the modern era were held in Athens from 5 to 10 April 1896. Edwin Flack, an accountant and Australasian champion runner, is considered Australia’s first Olympian. Flack won the 800-metre and 1500-metre sprints, took part in the marathon and won a bronze medal in doubles tennis. I made the pace all the way with the Yankee Blake waiting on me. As soon as I got into the final straight I went for all I was worth. He almost caught me in the first 30 yards, and we raced together for about the same distance, when to my relief, I felt that he was falling back and that I had him beaten. I finished up strong and fresh but he was quite done up. The 1896 Olympics in Athens, Greece were the first games of the ‘modern era’. French educator and historian Baron Pierre de Coubertin promoted the idea of restaging the ancient Greek Olympics in a contemporary setting. He had been impressed, when visiting England, by the British public schools’ integration of physical education into their curriculum. He came to believe that playing sport could help build moral and social strength. The organisation of the first modern Olympics began with the founding of the International Olympic Committee (IOC) in 1894, which planned to hold the first games two years later in Athens. The committee decided the Olympics would only be open to amateur athletes. Sports at the first games included: athletics, cycling, fencing, gymnastics, shooting, swimming, tennis, weightlifting and wrestling. De Coubertin was fascinated with the ancient Greek Olympic Games, and thought their ideals were worth cultivating in the modern world. He translated those principles into the IOC’s official creed, ‘The important thing is not the triumph, but the fight; the essential thing is not to have won, but to have fought well’. 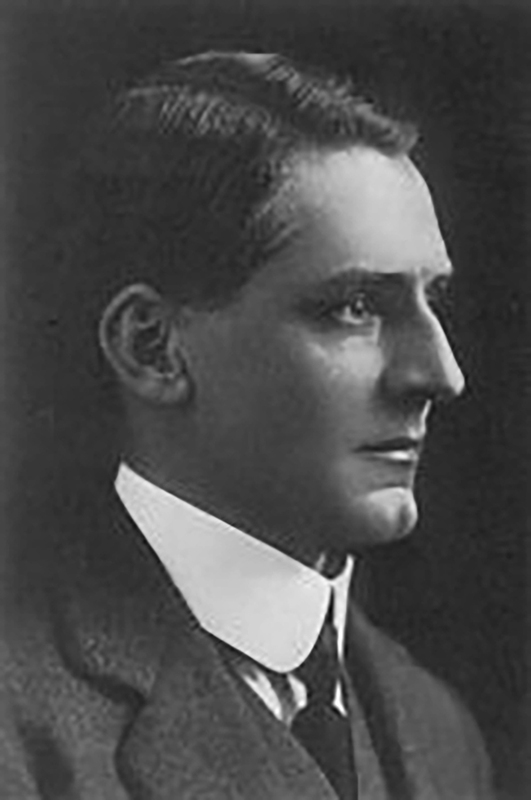 Edwin Flack was born on 5 November 1873 in London. Five years later, his family moved to Melbourne where Flack attended Melbourne Church of England Grammar School. He was a talented runner and competed in ‘inter club’ events around Victoria. After leaving school in 1892, Flack joined his father’s accountancy firm Davey, Flack and Co.
As an athlete, Flack won the Australasian Championship over a mile in 1893. That same year he founded the Melbourne Hare and Hounds running club and, in December 1894, he won the Victorian mile and half-mile titles. In 1895, encouraged by his father, Flack went to England to gain experience with chartered accountants Price, Waterhouse and Co. While there he joined a number of running clubs and decided to compete in the Athens Olympics. The London Athletic Club nominated Flack to compete in those first Olympics. He applied for time off from his accountancy job and received permission not long before the games were to commence. Later the same day he booked his passage from England to Greece. It took six days by train and ship to reach Athens. Flack suffered from sea-sickness and was quite weak when he reached Greece on 1 April, five days before the official start of the games. Flack chose to run in the 800- and 1500-metre races but also submitted his name for the marathon event although previously the longest race he had competed in was the Victoria 10-mile cross-country championship (the marathon is 26 miles). On 6 April, he won his 800-metre heat in 2 minutes 10 seconds and so advanced to the final. The next day was the 1500-metre event with eight runners competing. The favourites were Flack, the Frenchman Albin Lermusiaux, and American Arthur Blake . The race came down the homestretch with Flack and Blake battling for the lead. Flack took the American at the line winning by less than a second in 4 minutes 33.2 seconds. It was the first athletics race at the games not won by an American and Flack was feted as a hero. The finals of the 800-metre race were held two days later. Lermusiaux had withdrawn to concentrate on the prestigious marathon to be run the following day and Flack, now favourite, won easily in 2 minutes 11.9 seconds. On 10 April, Flack competed in the marathon. The race started at 2.00 pm, the hottest time of the day. There were 25 competitors; all but four of them Greek. The foreigners were Flack, Lermusiaux, Blake and the Hungarian Kellner. Lermusiaux led early with Flack coming second after six miles. Flack passed the Frenchman after 20 miles and soon after Lermusiaux dropped out. But then Flack hit the runner’s ‘wall’ and lost his energy. The eventual winner, Spyridon Louis passed him at 22 miles. Flack continued on, swaying from side to side across the road, but eventually collapsed after 24 miles. He was taken by carriage to the finish line at the Panathenaic Stadium. Flack was an incredibly popular champion. In a letter to his family he said, ‘They tell me I have become the “Lion of Athens”. I could not go down the street without having a small crowd of people following me on all sides’. During the games, Flack also competed in tennis and, pairing with his English friend and roommate George Robertson, won the bronze medal in the doubles. After the Athens games, Flack returned to London and continued his accountancy training. In 1899, he returned to Australia and joined the family accounting firm. He became a successful businessman and a member of the Australian Olympic Committee. Flack is considered not only Australia’s first Olympian but our first Olympic champion, even though Australia did not come into existence officially until 1901. At the games, Flack competed for Great Britain, but he ran in his old Melbourne Grammar School shorts and singlet. Australia has sent competitors to every summer Olympic Games since 1896 and hosted two very successful games in Melbourne in 1956 and Sydney in 2000. The Olympic Games are consistently one of the most popular televised sporting events in Australia.